It looks like the government will be defeated this week on a budget vote and an election called. We are running a $40 billion deficit this year. This will be cited at some unspecified time to necessitate cuts in social spending. That’s playbook stuff. 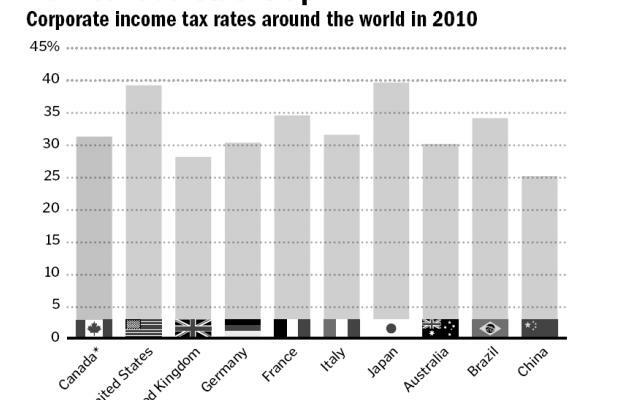 But the problem is that the Harper government is pushing for a further $6 billion in corporate tax cuts, even though Canada already has one of the lowest corporate tax rates in the OECD. Moreover, the Harper government also intends to purchase $30 billion worth of F-35 jet interceptors, even though they are not suited to either our foreign or domestic military needs. It isn’t, of course, an increasingly besieged public that will benefit by these policies. The Harper government has decided it somehow can’t afford substantial longterm increases in spending for education and health care, but that it can afford tens of billions of dollars worth of corporate welfare for Lockheed-Martin, while also further reducing already low corporate tax rates. For the record, Smith was for high wages, supported the right of labor to organize, and, as the quotes above suggest, understood very well the plutocratic disposition of unrestrained commercial interests. Corporate tax cuts are not among the laws of nature. They do not even necessarily make for sound economic policy. As promised in an earlier post, we will be citing Frye extensively on Canadian history, culture and political traditions as the election unfolds. This entry was posted in Canada, Current Events, Economics, Society on March 23, 2011 by Michael Happy. 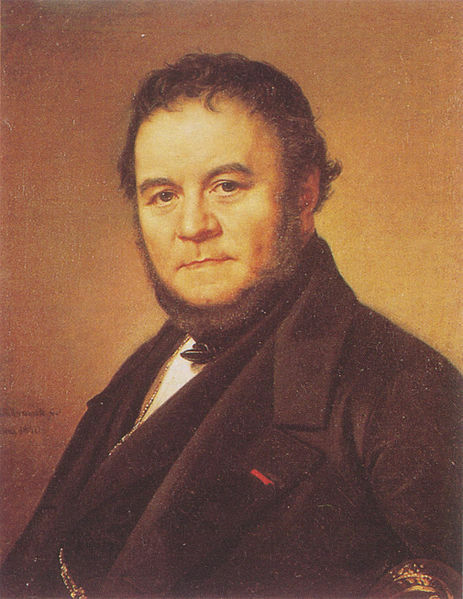 Today is Stendhal‘s birthday (1783-1842). Earlier posts on Frye and Alger here and here. This entry was posted in Archetype, Birthdays, Comedy on March 23, 2011 by Michael Happy.